In November Abington Church held its first ever ‘Festival of Angels’. So I hear you say, what is this? I would describe it like a flower festival but with all things to do with angels! All the church groups were invited to produce a display with an angel theme (we were asked to be creative! ), including information about the purpose of the group. Visitors to the church over the festival weekend were able to enjoy the many displays as well as discovering something about the variety of work undertaken by church members, both within the church family and in the local community. 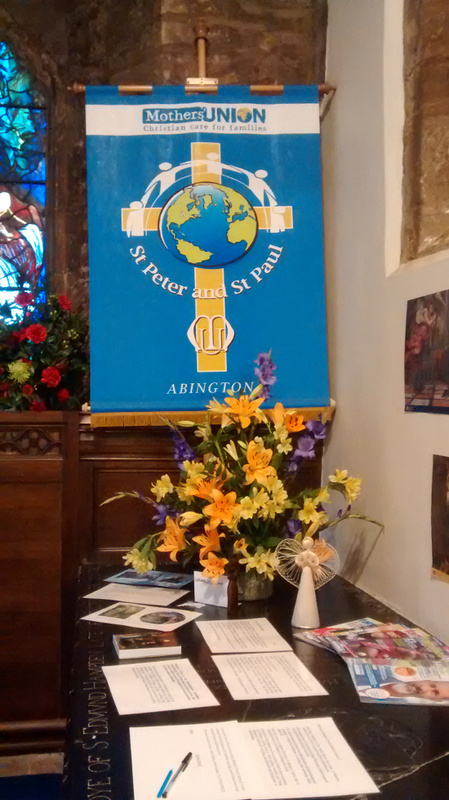 Over 500 people visited the church during the festival and many enjoyed the Mothers’ Union display in the Lady Chapel, which focused on, not surprisingly, the Story of The Annunciation.